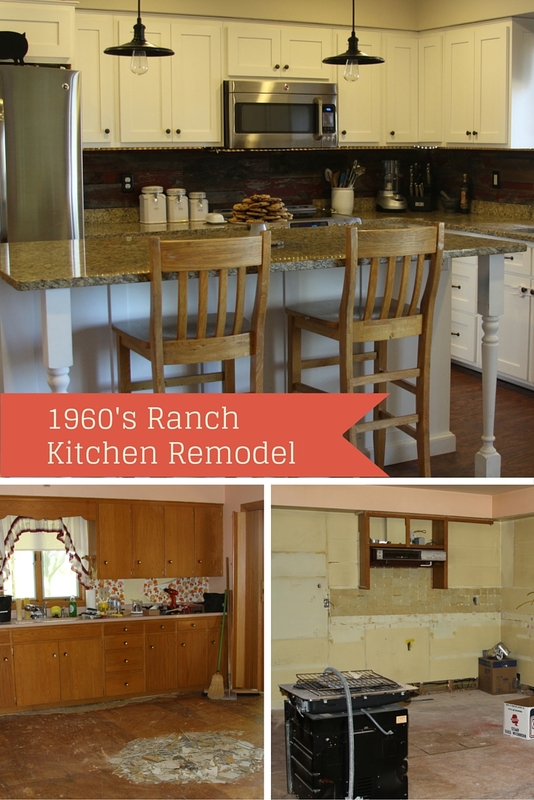 Tackling the remodel of our 1960’s ranch kitchen was no small task. 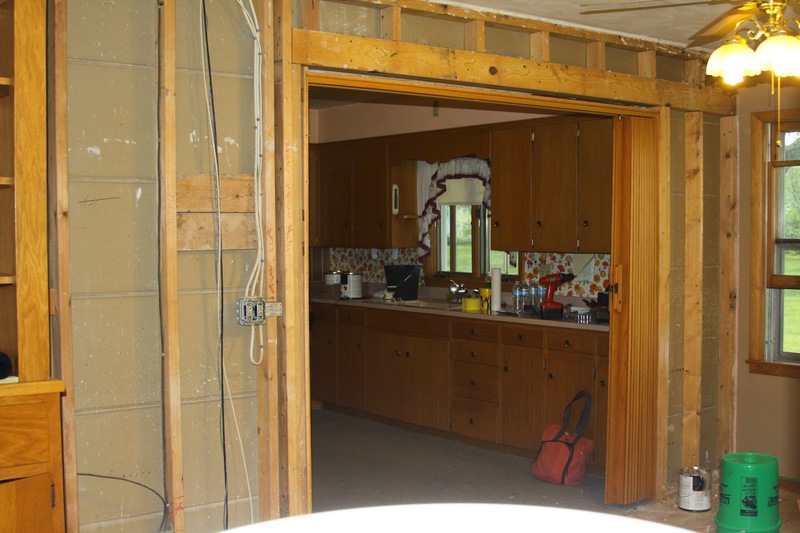 Demolition led to some unexpected surprises, which you can read about in “Outdated Kitchen Makeover: Part 1.” After two months of electrical work and design decisions, which you can find in “Outdated Kitchen Makeover: Part 2,” it was time to put on some finishing touches. 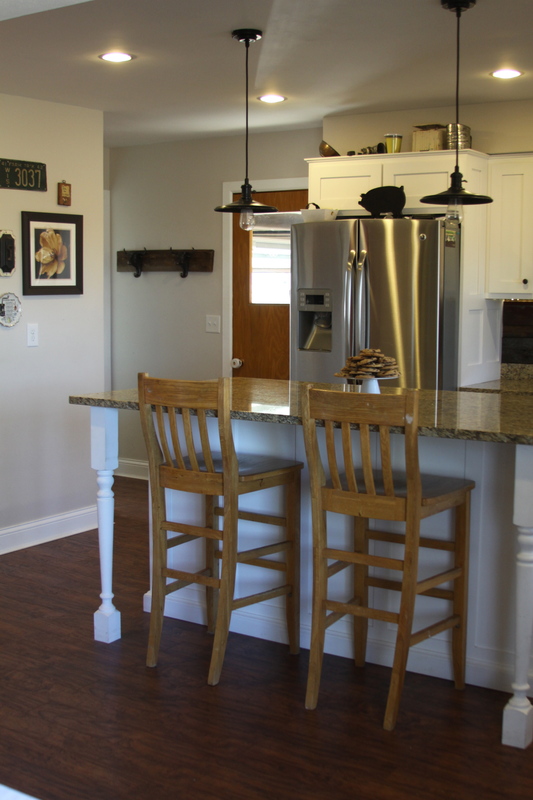 It took nearly three years from start to finish, but our kitchen remodel is officially done! I mentioned we had made some changes to our original design. Originally, we decided on a bright green paint to make the kitchen really fresh. However, when we went to look for a backsplash, we had a difficult time finding a tile that worked both with the warm tones in the countertop and the vibrant paint. Ultimately, we repainted the kitchen a white-grey neutral tone, which instantly lightened up the whole room and opened up a whole new world of possibilities for us as far as the color palette. I also painted our pantry door a gorgeous rustic red that brings out some of the red tones in the countertop and adds to that hint of modern farmhouse feel we were hoping to accomplish. We created a gallery wall in the kitchen comprised primarily of reclaimed DIY pieces, like the chicken wire window frame and vintage chalkboard. We selected stainless steel appliances because we love the way they stand out and give it the feel of a professional kitchen. 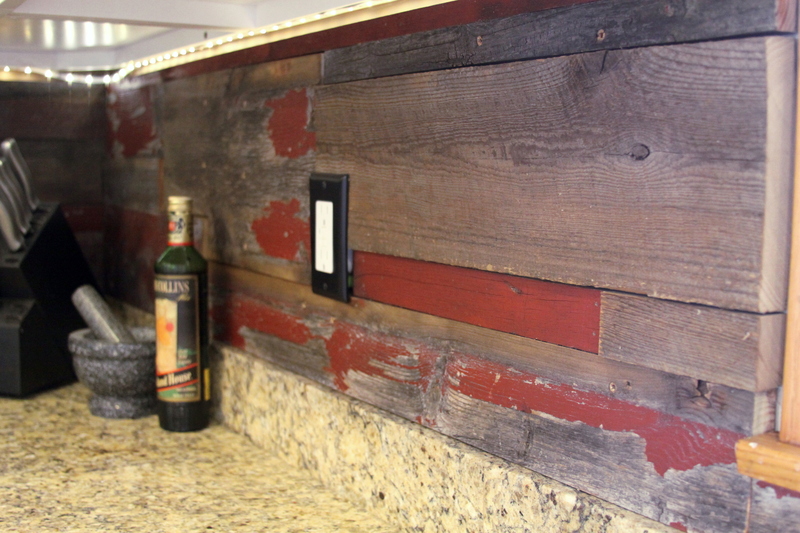 One of my favorite parts of the entire kitchen is the rustic reclaimed barn wood backsplash my husband and friend custom created for the kitchen. 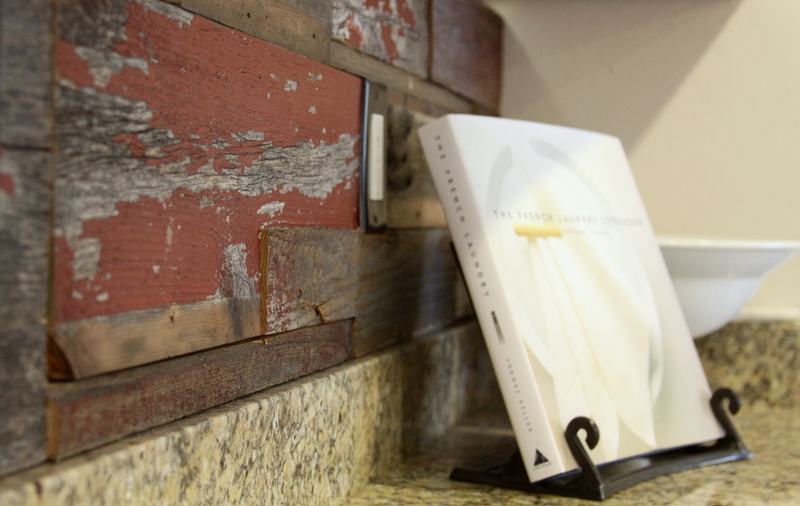 We love the variety of the distressed wood, the different tones of paint and the varying thickness of the boards themselves. 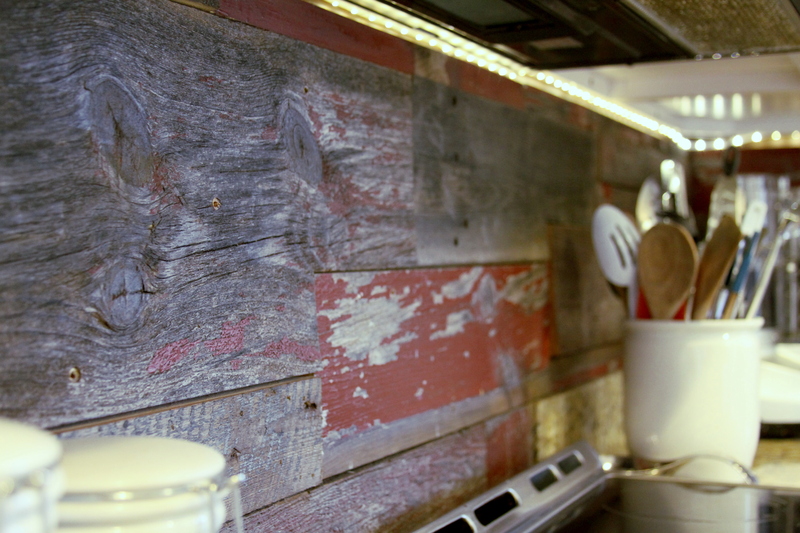 The guys cut and measured each piece to make the backsplash fit together like a gorgeous puzzle. Clearly, I can’t get enough of it. We adore our remodeled kitchen. It’s striking, beautiful and also completely functional. My husband and I are both able to cook at the same time. It’s definitely a hub when it comes to entertaining guests. And perhaps most important, it is a great location for the ladies’ annual cookie baking day. 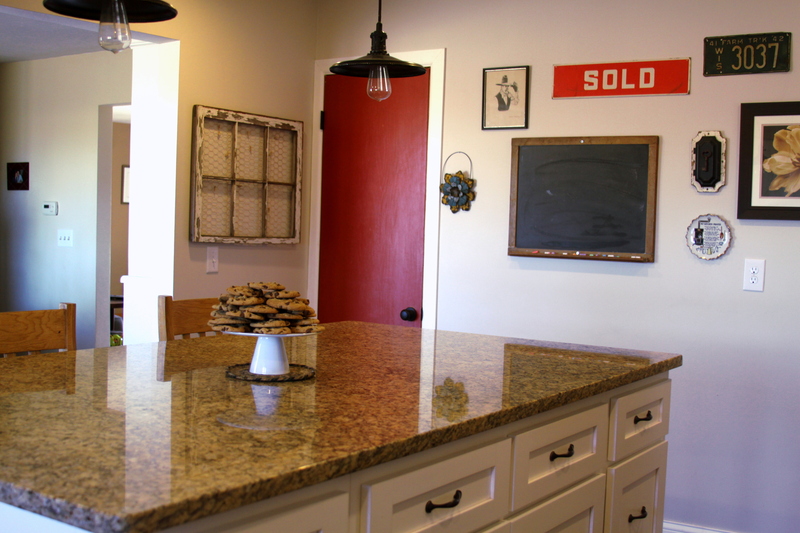 Have you ever wanted to remodel your kitchen but weren’t sure where to start? I would love to hear from you!